Life has become so pretty hard and hectic now days. Despite of our all day long efforts our incomes still don’t match our expenses. So in this tight and busy schedule we spare some time to be spent in some cafe or bar where we certainly relax to get ready for the next day tasks. Or recycling skill is not mere meant to recycle some home based plans but we also give some superb solutions for pallet wood furniture to be placed in some cafe or bar. 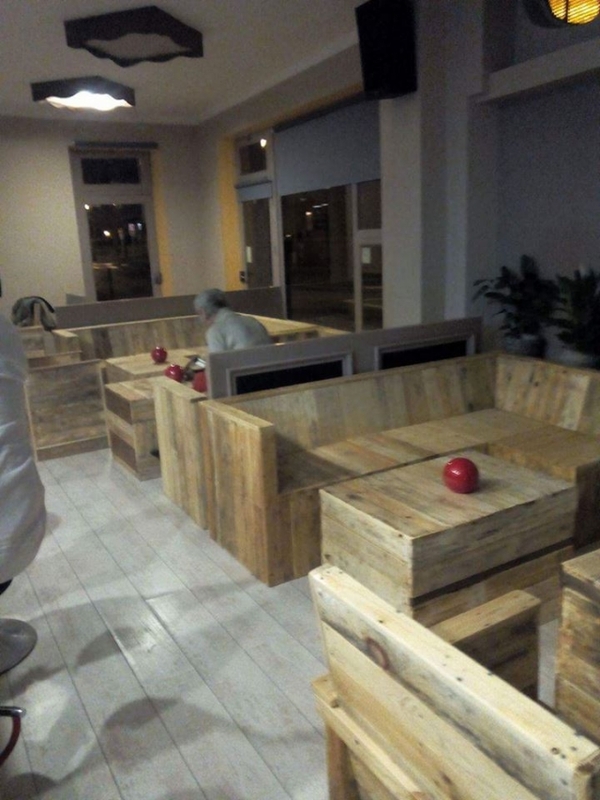 This cafe or bar furniture is absolutely different from the one we design for a typical home interior. So today we have some genius plans to recycle some of the finest furniture items for a cafe or bar. As the cafes and bars are considered to be informal and casual places for spending some quality time so our furniture is also going to be pretty according to the situation. It would be rustic, it would be rough and raw. 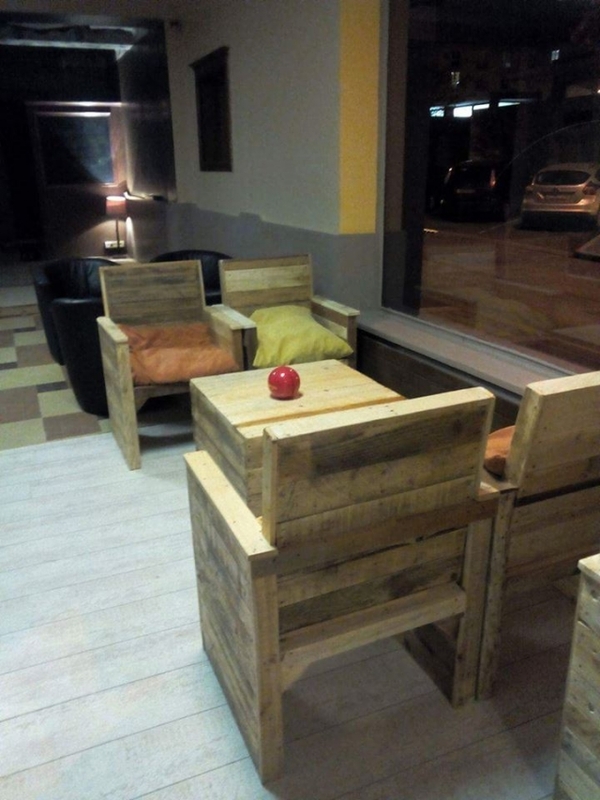 But this is not necessarily meant to be placed on some typical bar or cafe, if you want to create such atmosphere right at your place, this pallet wood furniture is perfect for this purpose. Look at the entire set up of bar or cafe furniture. We some raw wooden sofas along with some fine centre tables. 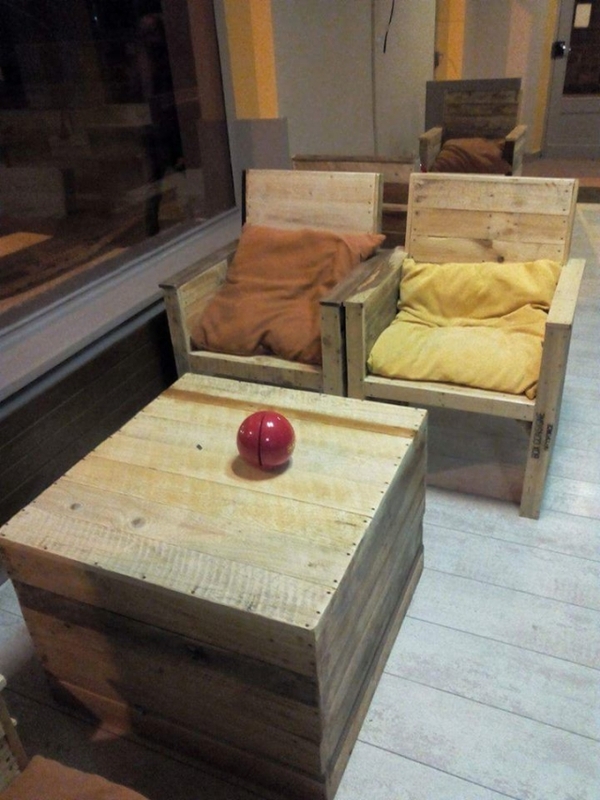 All of the furniture is upcycled using the raw wooden pallet. 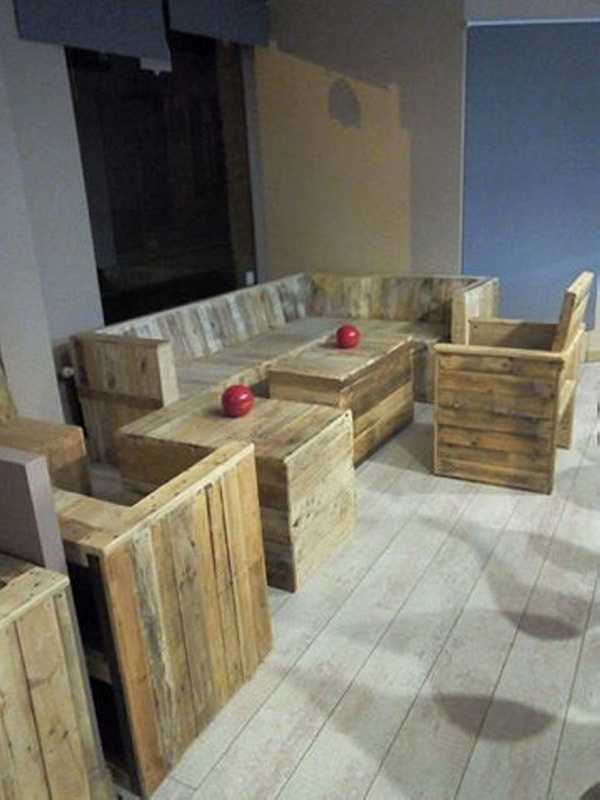 Fine pallet planks are cut to size and structure as sofas and centre tables. And finally they are very well sanded and smoothened up but yet they are left unstained to maintain the rough appearance for a café or bar. If you run a bar or a cafe, this arrangement is perfect to be placed right there at the venue.